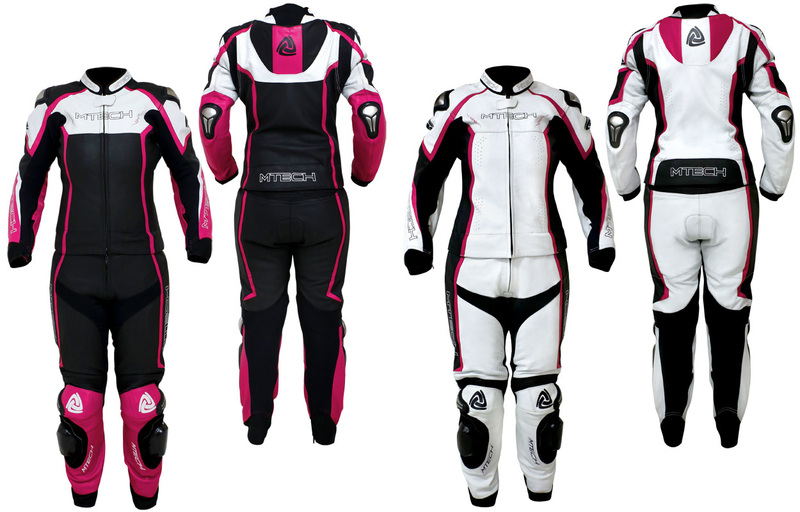 Women's MTech 2 pieces suit. Hard protections on shoulders, elbows and knees. Perforated inner lining for extra ventilation. Accordion leather on the sides of the waist and armpits for greater flexibility. Zipper and click closure (trousers). Adjustable closure with zipper on cuffs and legs. Two inner pockets inside the jacket. Padded on coccyx for better comfort while riding. Compartment for back protector / back protector Memory foam (not provided).